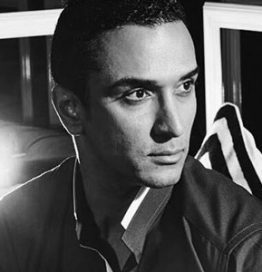 HATEM ALAKEEL HAS BEEN HAILED A DESIGN GENIUS, DUBBED THE MIDDLE EASTERN TOM FORD, CROWNED THE KING OF THOBES, HERALDED AS FASHION’S MAN OF PEACE & FASHION FILM MAKER. Toby by Hatem Alakeel is the brainchild of Saudi Arabian designer & entrepreneur Hatem Alakeel. His designs have embraced the true essence & spirit of fashion and the label has captured the Zeitgeist of our times & catapolted the beloved thobe onto the international fashion radars all over the globe from the onset of this truly innovative & inspiring label on the the Middle Eastern markets. Toby specialises in men’s traditional robes and shirts, and ladies long coats yet there is nothing traditional about these highly crafted fashion items. While retaining the established feel of the classic thobe, Toby by Hatem Alakeel aims to create highly individual and stunningly tailored lines from the best materials on the international market. Toby by Hatem Alakeel’s exciting approach to traditional wear fuses modern, traditional and international elements with many fun surprises creating his unique signature look which are the hallmarks of the brand which his audience have come to love, expect, await and applaud. Toby by Hatem Alakeel represents the true epitome of fashion fusion and the man behind the vision has taken the traditional style to newer greater heights . Hatem has dressed the likes of Snoop Dogg , Christian Louboutin, Elie Mizrahi at the golden globes and the list goes on . Growing up between Europe, The United States & Saudi Arabia, Hatem Alakeel gained unrivaled fashion experience on an international scale by working with & advising some of the world’s most prestigious global brands. Hatem has designed for such global icons as Mattel’s Barbie, Evian, Puma ,Fairmont, Rosewood and the Ritz Carlton just to name a few. His singular dynamic aesthetic vision, keen artistic eye for detail & immaculately executed designs have propelled Toby by Hatem Alakeel to the fashion forefront after the resounding success of his first collection’s debut at Dubai Fashion Week in 2008. Jil Sander & Tom Ford have emulated Toby by Hatem Alakeel’s creative & innovative East Meets West concept which has become the definitive benchmark for traditional fashion with a modern twist. Today, Toby by Hatem Alakeel’s fashion films have become much anticipated by the public & media alike. His new womens Collections photo shoot and aesthetic of Toby Femme have become one of the traditional staples and is used as a bench mark in many marketing presentations depicting to the west how traditional fashion can also become high fashion and international and can hold its own with any international brand .